Dincer F., Sabah C., Karaaslan M., Unal E., Bakir M., Erdiven U.: Asymmetric transmission of linearly polarized waves and dynamically wave rotation using chiral metamaterial, Progress In Electromagnetics Research(PIER),140, pp. 227-239, 2013. Karaaslan M., Bakır M.: Chiral metamaterial based multifunctional sensor applications, Progress in Electromagnetics Research, 149, pp. 55-67, 2014. Akturk C.,Karaaslan M., Ozdemir E., Ozkaner V., Dincer F., Bakir M., Ozer Z.:Chiral metamaterial design using optimized pixelated inclusions with genetic algorithm, Optical Engineering, 54(3), pp. 035106, 2015. Sabah C., Dincer F., Bakir M., Unal E., Akgol E.: Biosensor Applications of Chiral Metamaterials for Marrowbone Temperature Sensing, Journal of Electromagnetic Waves and Applications, 10.1080/09205071.2015.1084894, 2015. Bakir M., Karaaslan M., Dincer F., Delihacıoğlu K., Sabah C.:Perfect Metamaterial absorber-based energy harvesting and sensor applications in the industrial, scientific and medical band, Optical Engineering, 54, pp. 097102, 2015. Unal, E., Dincer, F., Tetik, E., Karaaslan, M., Bakir, M., Sabah, C., "Tunable perfect metamaterial absorber design using the golden ratio and energy harvesting and sensor applications", J Mater Sci: Mater Electron (2015) 26(12): 9735-9740. Karadag F., Çömez İ., Dincer F., Bakır M., Karaaslan M., Dynamical Chiral Metamaterial with Giant Optical Activity and Constant Chirality Over a Certain Frequency Band ACES JOURNAL, Vol. 31, No.8, August pp. 919-925, 2016. Bakır M.,Karaaslan M., ,Dincer, F., Delihacıoğlu, K., Sabah, C.Tunable Perfect Metamaterıal Absorber And Sensor Applıcatıons,Mater Electron, 2016. Bakır, M., Electromagnetic-Based Microfluidic Sensor Applications, Journal of The Electrochemical Society,164(9), B488-B494, 2017. Bagmanci, M., Karaaslan, M., Altıntas, O., Karadag, F., Tetik, E., Bakır, M., Wide Band Metamaterial Absorber based on CRR..., Journal of Microwave Power and Electromagnetic Energy, 2017, Accepted Manuscript. Bakır, M., Karaaslan, M., Altıntas, O., Akdogan, V., Temurtas, F., “Tunable Energy Harvesting on UHF Bands Especially for GSM Frequencies”, International Journal of Microwave and Wireless Technologies, 2017: Accepted Manuscript. Fatih Ozkan ALKURT, Olcay ALTINTAS, Mehmet BAKIR, Ahmet TAMER, Faruk KARADAG, Mehmet BAGMANCI, Muharrem KARAASLAN, Emin UNAL, Oguzhan AKGOL, Octagonal Shaped Metamaterial Absorber Based Energy Harvester, Materials Science, 24(3), 253-259, 2018. Bagmanci, M., Karaaslan, M., Unal, E., Ozakturk, M., Akgol, O., Karadag, F., Bhadauria, A., Bakır, M., Wide band fractal-based perfect energy absorber and power harvester, RF and Microwave Computer Aided Engineering, Doi: 10.1002/mmce.21597. Metamalzeme tabanlı çok bantlı enerji hasadı uygulaması, Balıkesir Üniversitesi Fen Bilimleri Enstitüsü Dergisi, 20(1), 527-538, (2018), DOI: 10.25092/baunfbed.433960. Bakir M., Karaaslan M., Dincer F., Akgol O., Unal E., Delihacioglu K., Sabah C.: "Electromagnetic Energy Harvesting By Using Tunable Metamaterial Absorbers", IEEE SIU 2015, 371-373, May 16-19, 2015, Malatya, Turkey. 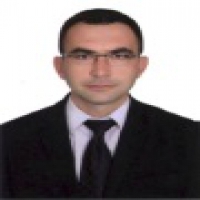 Dincer F., Karaaslan M., Bakir M., Akgol O., Unal E., Delihacioglu K., Sabah C.: "Increasing Bandwidth in Antenna Applications By Using Chrial Metamaterials”, IEEE SIU 2015, 220-222, May 16-19, 2015, Malatya, Turkey. Karaaslan M., Bakir M., Dincer F., Unal E., Delihacioglu K., Ozer Z., Akgol O., Sabah C.: "Biosensor Applications By using Gammadion shaped Chiral Metamaterials”, The “the Conference of Medical and Biological Engineering, March 13-15 Bosnia and Herzegovina, 2015. Dincer F., Bakir M., Karaaslan M., Delihacioglu K., Sabah C.: "Perfect Metamaterial Absorber Based Energy Harvesting Applications in ISM Band”, 4th International Conference for Business, Technology and Innovation (ICBTI 2015), Durres, Albania, November 6-7 2015. Karaaslan M., Dincer F, Bakir M., Unal E., Delihacioglu K., Ozer Z., Akgol O., Sabah C.: "Metamaterial Absorber Based Biosensor Applications”, The 1th Conference of Medical and Biological Engineering, March 13-15 Bosnia and Herzegovina, 2015. Dincer F., Karaaslan M., Unal E., Bakir M. Erdiven U., Sabah C.: "Giant Circular Dichroism in Chiral Metamaterials”, 15th International Conference on Transparent Optical Networks (ICTON 2013), Cartagenai Spain, June 23-28, 2013. Dincer F., Karaaslan M., Unal E., Bakir M. Erdiven U., Sabah C.: "Chiral Metamaterials with Strong and Dynamically Optical Activity”, 15th International Conference on Transparent Optical Networks (ICTON 2013), Cartagenai Spain, June 23-28, 2013. Alkurt,F.O., Karaaslan, M., Unal, M., Bakır, M. “Design Of A Dual Band Metamaterial Absorber For Wi-Fi Bands”, Türk Fizik Derneği 33. Uluslararası Fizik Kongresi, 2017. Alkurt, F.O., Karaaslan, M., Unal, M., Bakır, M., “Fire Detection Behind A Wall By Using Microwave Techniques”, Türk Fizik Derneği 33. Uluslararası Fizik Kongresi, 2017. Bağmancı, M., Alkurt, F.O., Karaaslan, M., Unal, M., Bakır, M.,“Wideband Metamaterial Absorber Based On Wheel Resonators For Microwave Energy Harvesting”, Türk Fizik Derneği 33. Uluslararası Fizik Kongresi, 2017. Alkurt, F.O., Altıntas, O., Bakır, M., Karadag, F., Bozkurt, A.T., “Octagonal Shaped Metamaterial Absorber and Energy Harvester”, IMSEC, 2nd International Mediterranean Science and Engineering Congress (IMSEC 2017).